Bill Malloy, the troubled manager of the Collins Fishing Fleet and Cannery, moves ever-so-slowly toward his doom during this weekend's #CollinsTweet event. 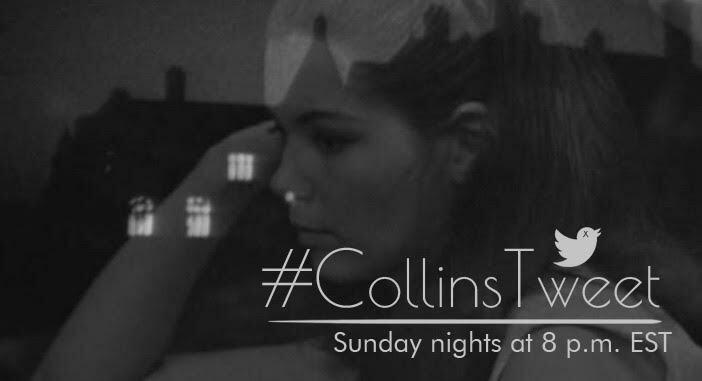 #CollinsTweet begins every Sunday at 8 p.m. EST on Twitter. If you decide to join us, make sure to include the hashtag #CollinsTweet with your posts during the discussion. If you don't, people won't know you're participating. Episode 45: Still no vampires. Bill Malloy continues to threaten to tell what he knows and doesn’t. Roger plays darts. Carolyn brushes up on family history. It’s just one thing after another with these people. Episode 46: Still no vampires. The final showdown between Burke and Roger looks like it’s preparing to get ready to take steps to be about to happen sometime. David may have a talent for something besides sabotaging cars, while Roger has a talent for calling the kettle black. BONUS: The series title gets a namecheck!